Intentional motherhood and creative homemaking. 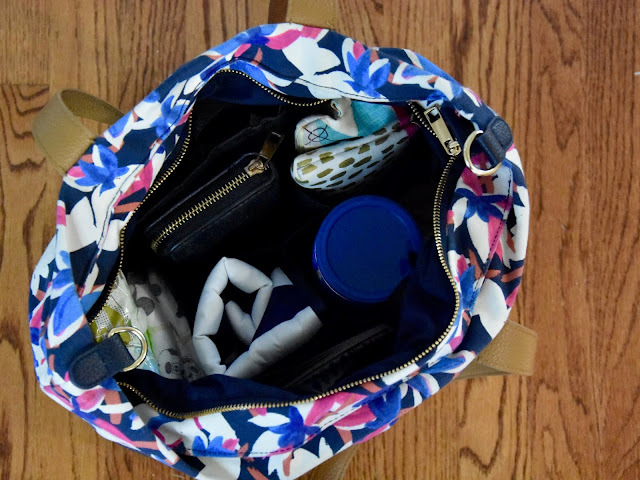 As a mom, I find myself getting tired of carrying a diaper bag everywhere. I walk through Target with a giant backpack slung over my shoulder full of cheerios, diapers, and toys. Then on the rare chance I get a night off, I'm scrambling to find my wallet, keys, and a place to put them. Or if I drop my kids off at Sunday school or childcare, I'm left carrying my wallet and phone without a bag to put them in. 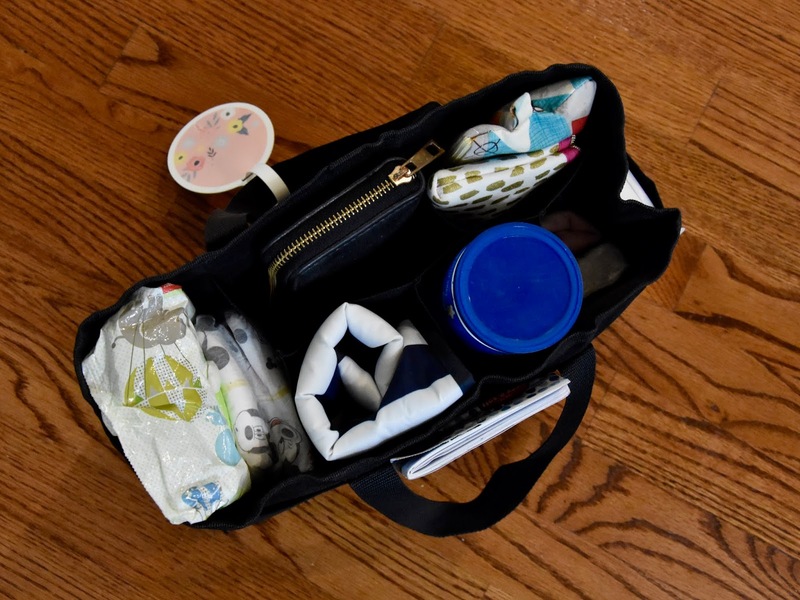 I've tried a different diaper bag with each child, and while I've loved features of each one, nothing has been quite right. And I'm always frustrated when I try to use both a purse and a diaper bag at the same time. After three kids, there must be a better solution! After doing some online research, I came across these stunning bags a few years ago. Lily Jade offers a beautiful leather bag with a removable diaper bag insert inside. And while I desperately want one, they are far out of my price range. I cannot justify spending $300 on a bag. And so the search continued, until I realized, why not create the same type of bag myself? I'm always seeing cute tote bags at Target. Could I add a diaper bag insert of some kind? After a quick browse on my trusty Amazon app, the answer is yes! 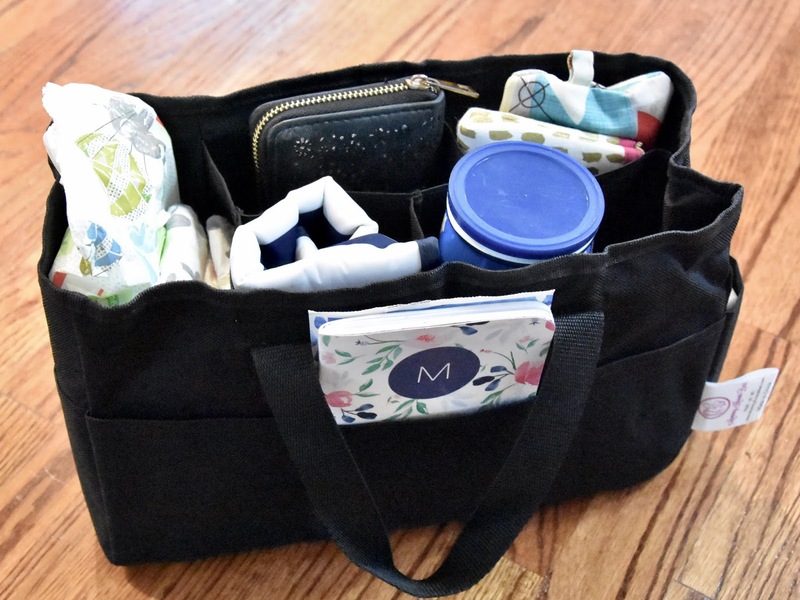 And so, let me let you in on my new way to do both a diaper bag and a purse. First, grab a favorite tote bag. I found this one at Target. The fantastic part about this bag hack is that you can use ANY large tote you have! That beautiful Coach tote or the cute bag you've been saving can work great for this. The one important point is that the bag cannot have any interior dividers. It needs to be one large, open space inside. Second, add an insert. 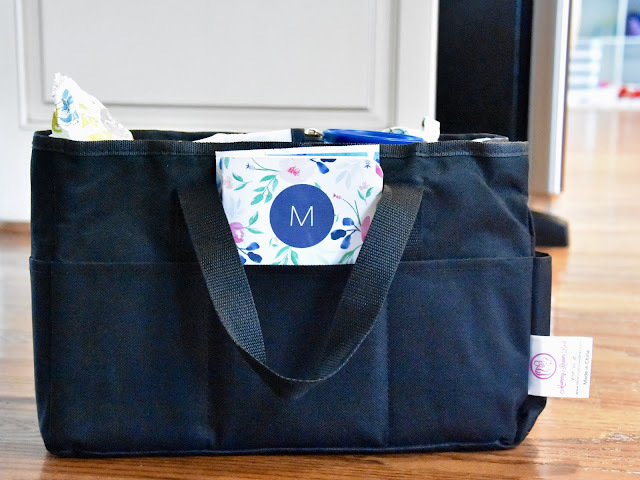 This insert will act as your actual diaper bag, so you want something structured with lots of pockets or dividers to hold what you need. I searched "diaper bag insert" on both Amazon and Etsy and found some great options. I ended up ordering this one from Amazon. 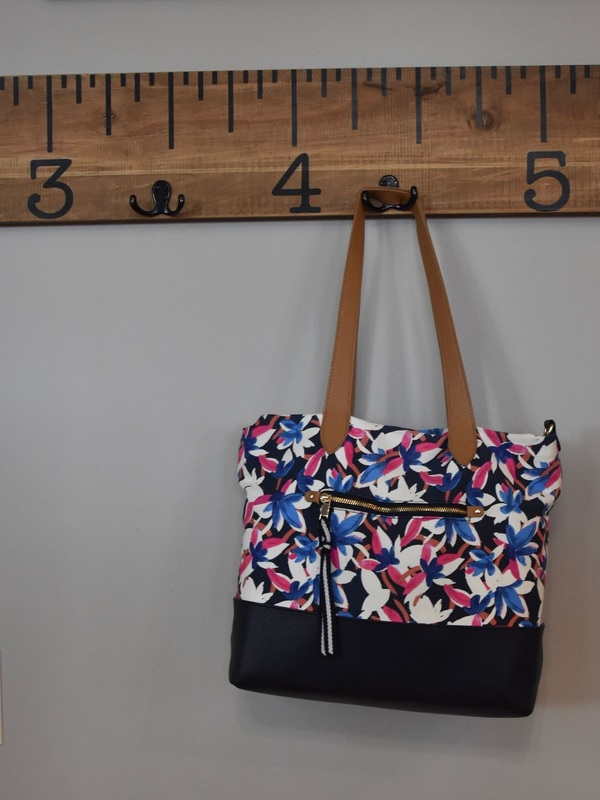 Two things: Be sure you check the measurements of the insert so that it fits in your tote. And get one with handles! This will allow you to easily pull it in and out of your bag. Now, when you drop of your little one, simply slip the insert out of your purse and leave it with the caregiver. You are left with a bag for your own stuff, and baby has everything he/she needs. Do you think you'll try this? Share your picks for totes and inserts in the comments! 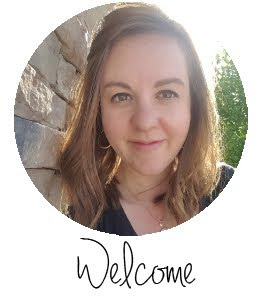 I'm Melanie-- mama to three littles, wife to the real engineer, Jesus follower, reader, coffee lover. I'm so glad you can join me! Add me to the email list! ©The Domestic Engineer, 2012. Powered by Blogger.